With Tu B’Shevat days away, a leading Sephardi posek HaGaon HaRav Bentzion Mutzafi instructs his followers in a letter to distance themselves from dried fruits, explaining he has learned from well-informed experts contain dangerous additives. The rav, who has his own badatz hechsher, is a well-informed kashrus expert. The rav explains he will detail some of the issues, explaining the dried fruits come from countries including Turkey, Taiwan, Thailand and China, where the food industry lacks strict supervision. There are starches, phosphorus, food colorings, teratine, sulphur, insecticides and more, including solid palm oil, which is known to cause high cholesterol, industrial acids, paraffin oil, dangerous sulphur dioxide and more. The rav explains this is all used to maintain the product and to stabilize, as well as adding color. He feels they are most dangerous to the public and one should not eat them, and not use them for Tu B’Shevat as such items cause cancers and more health issues, and damage one’s internal organs. 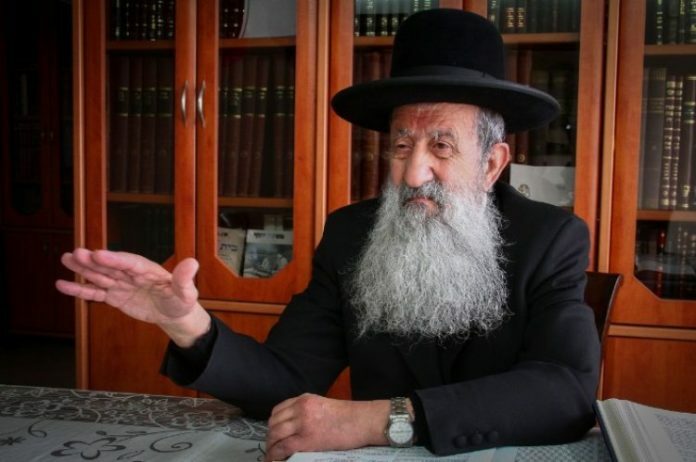 Rav Mutzafi says stay away from dried kiwi and watermelon, as well as the apricot and the others, all containing chemicals that are extremely hazardous to one’s health. Regarding walnuts, one should only buy with shells, for the shelled ones are processed too. The same holds true for other nuts including pistachios. Good to know. Another important piece of info is that gelled esrog, if it comes with the peels, is loaded with pesticides, as esrog are not grown for food, and are therefore not subject to regulations. Esrog liquor is definitely bad, as they use the peels for flavor, and the alcohol does a great job of absorbing the pesticides. Virtually all of these items are approved for consumption here in the U.S. and even in California which has some of the most rigorous food labeling rules. I suspect the Rav is focused on products imported into EY from some of the countries menitoned in the article and where the inspection rules may be less rigorous (althoiugh with the government shutdown and some inspectors off the job, it might be a good idea to follow his advice here in the U.S. as well). There are plenty of other “new” fruits available to be yotzeh the mitzvos for Tiu B’shvat without incurrring any risks. What are his thoughts on sunscreen? and how about diet soda? eggs? coffee? Immunizations? And he knows this how? We’ve been hearing this exact same claim from the usual suspects for all our lives (no matter how old we are; the “health food” mishugas is more than 150 years old), and in all that time not a shred of evidence has ever emerged for it. There is no reason to believe that any of the additives he complains of cause any disease, let alone cancer. We eat more of these things all the time and yet the incidence of cancer has been declining for decades. Everything causes cancer in lab mice, when they are fed doses 1000 or 1,000,000 times what any person could get even if he gorged himself with products that include it. There is no evidence that these same things cause cancer in humans even in high doses, and certainly not in normal doses. News flash: Everything causes cancer, if you huge quantities of it. Meat, potatoes, potato chips, wine (that by and large contains sulphites), etc. There’s no end to the list. Yochal anavim v’yisbau. שמרתם מאוד לנפשותיכם isn’t a halacha? Sammy does it. No respect for hagaon harav mutzafi? What’s wrong with people? Seems like none of you read the article. Fruit-for-thought: when Rabbonim weigh in on vaccines, we take that very seriously indeed, but when a Rav voices an opinion on a relevant health-related issue not addressed by the medical establishment such as nutrition, unhealthy additives, preservatives, we show disregard and disrespect. You call yourselves “yeshivaworld” yet your readership is full of people who disrespect talmidei chachomom. I don’t take (a) Torah advice from physicians and public health professionals, or (b) health advice from poseks. Not a word about Eretz Yisrael in all this… Is Tu Bishvat really observed with fruit from Turkey, Taiwan, Thailand and China?